Epic. All I can say is, epic. 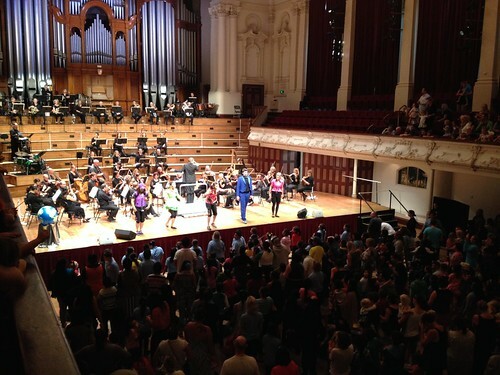 This year as part of the Auckland Philharmonia education programme, a new initiative was their 'Bring It Together' day. 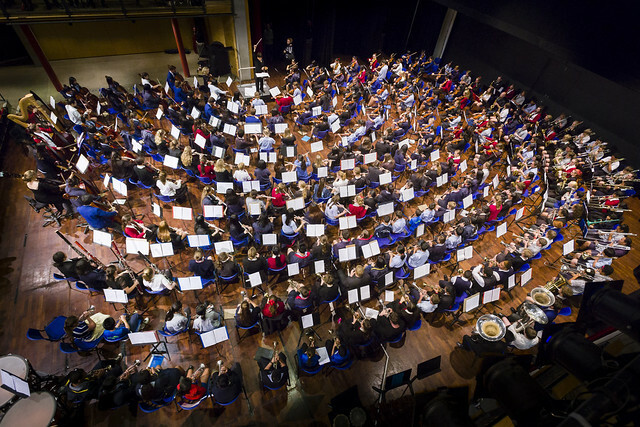 This was where students from many of their partner schools, and of very different abilities, came together for a few hours to make music alongside APO musicians. I was asked to write the arrangements and gosh it was hard work. For every instrument in the orchestra there needed to be three tiered parts to cater for the different abilities: beginner (up to grade 2); intermediate (grade 3-5); and advanced (grade 6+); plus a few additions like cornets, saxophones and baritones. Tidal Fragments is made up of individual ideas from Auckland schools - all variations on the theme of water. These ideas have been elaborated and kept as very different ideas (even staying in their original keys) as they come and go throughout the piece - as if evoking different creatures in the water, different people coming and going on the coastline, or fishermen and yachtsmen going about their business. Tying all of these fragments together is an underlying ripple of waves on the coast as the tide moves from out to in. Kind thanks to Mangere College, Rangitoto College, Avondale College, Baradene College of the Sacred Heart, James Cook High School, New Lynn School, Redoubt Normal School and Sancta Maria College for their contributions. It's hard to know before you hear the first notes whether it'll be a success or a failure, but it all seemed to work tremendously well. Of course many observations to store away for next time, but everyone left with a smile on their face and I hope with their eyes open wider. All aboard. Magic carpets are passing now! Ah yes, the lines for every Polkadots song still resonate in my head. In fact throughout the concert both my wife and I knew every word. I guess we had heard it hundreds of times at home as I worked on the arrangements. Last Saturday was the first of the Polkadots "Magic Carpet" shows. It really was something quite special. 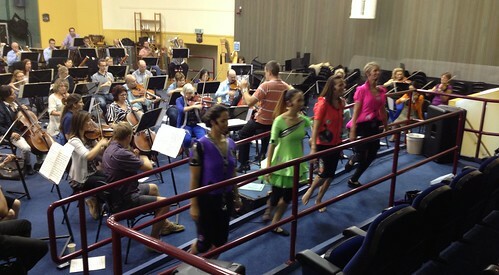 While I've written a lot of arrangements - never a whole show for a pro orchestra with singing, dancing and narration. I went to the rehearsal the day before the show hit the stage and only had a few minor tweaks to make before relaxing and enjoying the musicians put it together. They hired super-pro drummer Ron Samson, so he held it all together nicely and provided a great energy. Then came concert day - two back-to-back performances at the Auckland Town Hall on Saturday 29th March. It was great to see the hall packed and so many young people having a great, great time! In fact, the APO musicians on stage looked as though they enjoy themselves too. Make sure you gather your little people, get along and enjoy! I survived 2012. This is how it was! The New Year means it's time to have a look back over the past year and see, through my blog posts, what has taken shape and what I have to say for myself! January started with a very well deserved "Shout-out to VaultPress" after they marvellously got my website back up and running after a meltdown! February is the start of the school term and I posted about the preparation work I do for schools. My typing fingers must have been tired at the end of March - it started with two popular posts, iOS apps for music professionals and Digital music stands vs iPads, following on from, again, two very popular posts I did in 2010. Following that were four posts on current projects - "Working on workshops" looked at some teaching workshops I was involved with, "An opportunity to make the floor rumble" talked about my upcoming new work for the Auckland Philharmonia and the Auckland Town Hall Organ. I conducted at the Bay Of Plenty Music School once again and my post, "Bay Of Plenty music school hit Rotorua! ", pre-empted my visit there, and finally "Opening up an orchestra" reviewed the first two Auckland Philharmonia Open Days were I ran the "meet the composer" area. In April I reviewed my time at the Bay Of Plenty Music School in "Making music in Rotorua" and posted photos in "Checking out the pipes" after an inspiring tour of the Auckland Town Hall Organ. May is music month and "A month of New Zealand music" checked out the events me or my music was involved with. It's also 48 Hour Film Festival time and our film this year was "My Confession…". 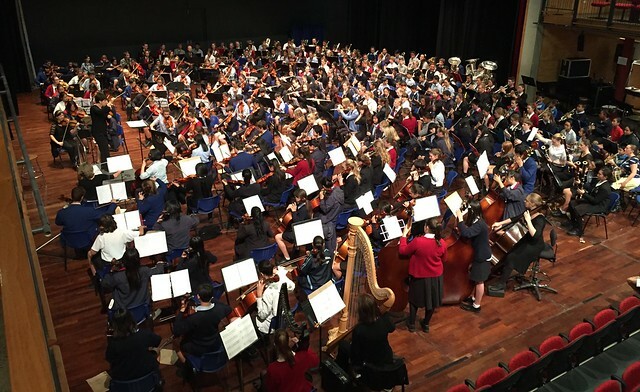 In June I talked about my involvement with Auckland Symphony's "Night Of The Proms" concerts in "Promenading in the colony" and I posted "Questions for a composer" after answering questions for a student's school assignment. In July I posted my one word review of each piece from the "Nelson Composers Workshop 2012" where I was very happy to go this year as a mentor. 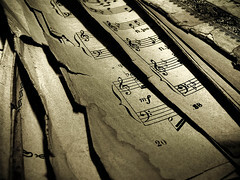 August is KBB Music Festival time and I also posted on the ongoing saga regarding the future of Sibelius in "What the heck is happening with Sibelius!". 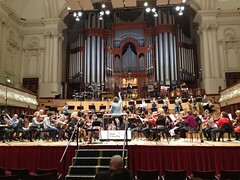 My piece, Tiraki, started to take shape after another workshop with the Auckland Philharmonia. September was rather dormant on the blog front but in October I reviewed “What Lurks Among Saints” after being invited by a student I met earlier in the year. 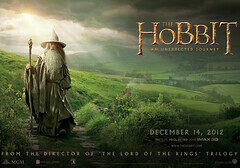 In November I had the privilege of "Playing my role in The Hobbit: An Unexpected Journey", and I posted about the experience. December was busy with a number of projects. 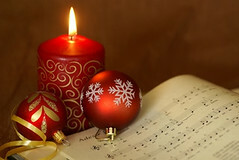 In "Little pieces of Christmas" I talked about a bunch of Christmas arrangements I did for the Auckland Philharmonia and Auckland Symphony orchestras. I also talked about a film I was involved with, called "Sounds Perfect" and its selection into the Tropfest final in “Sounds Perfect” to be in a final". I then prepared music for some very fine New Zealand singers and talked about it in "Preparing for some legends!". Finally, no year is complete without a "Merry Christmas" post thanking you for all of your support during the year and the compliments of the season. Another year ticked off the list, another year doing my absolute dream job - let's get ready for an even better 2013! 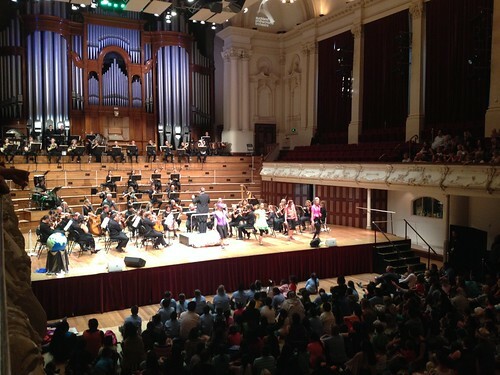 Last Sunday we had loads of fun at the first of the Auckland Philharmonia open days for 2012. We were at the Bruce Mason Centre in Auckland and you would have found me in the “meet the composer” room. Loads of people came through and some came back three or four times as they had a new idea to add to our "Open Day" composition. We talked about what composers do and how our ideas make it to the orchestra’s music stands. Many people had a go on Sibelius and were blown away at what it can do and what we could do with their musical ideas. "Meet the APO and hear all the instruments, in a fun family day. Hear us rehearse and perform excerpts from Beethoven's famous Fifth Symphony, join in activities to make simple percussion instruments, listen up close to individual players and hear the 200 strong chorus taking part in Sing with the APO. The orchestra and ensembles of APO musicians perform throughout the afternoon." TelstraClear Pacific Events Centre, Manukau, free admission. Click here to find out more details. Come down and say hi, I look forward to seeing you! The Wonderfish Collective live with strings! Sign up to receive two-monthly news and updates.